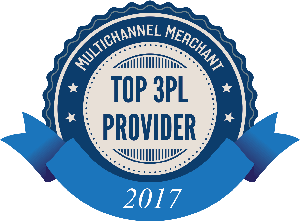 a2b Fulfillment has been named a Multichannel Merchant Top 3PL for the second year in a row, including them within a listing of leading third-party logistics providers selected by the editors of Multichannel Merchant. Since 2001, a2b Fulfillment has been helping companies work smarter by outsourcing business support services, including order fulfillment, customer care, and value-added services. Its specialized solutions are designed to improve the customer experience, while reducing operating costs through a variable model. With more than 400,000 square feet of warehousing and contact center space in the U.S. and Canada, a2b is able to service the majority of consumers and retailers within two days. It’s same-day fulfillment philosophy ensures that customers aren’t waiting, and its one-call customer service resolution standard keeps them coming back. Next week a2b Fulfillment will be attending the 2017 Operations Summit, where we will join 800+ professionals that include direct-to-customer and ecommerce operations and fulfillment services. The event will be held at the David L. Lawrence Convention Center in Pittsburgh, PA. We would love an opportunity to connect with anyone attending the 5th annual Summit!